Commercial Plumbing Repairs | Brooks Plumbing Co.
Don’t Delay These Commercial Plumbing Repairs! Commercial drain issues are an understandably awful thing to deal with, and they only get worse the longer they are neglected. Though many commercial plumbing problems start off small, they can cause a considerable amount of damage if they aren’t repaired right away. Without prompt Olympia, WA commercial plumbing services, you could find yourself replacing a pipe or an entire section of your commercial plumbing much sooner than you may have had to otherwise. Not only is this a costly inconvenience, but it can cause significant business interruption to your commercial space. Keep reading to find out more about some of the commercial drain problems that warrant prompt service, before they endanger the rest of your plumbing system. Posted in Plumbing | Comments Off on Don’t Delay These Commercial Plumbing Repairs! Here’s the thing about plumbing issues: you likely don’t notice them at all until they are obvious. Perhaps your office kitchen floods or you notice the sound of rushing water behind a wall. If you’re a busy business owner, this is likely the last thing on your mind on a day-to-day basis, but if you let a plumbing problem get to this point then you are facing serious business interruption and costs. However, there are small—yet important—steps you can take to determine if you have a plumbing repair need before it becomes a catastrophe. Keep reading to learn more. Is Your Commercial Building Suffering from Plumbing Problems? Whether you manage a business within a commercial building or own the commercial building itself, a plumbing problem is never something fun or easy to deal with. It is, however, an important factor to consider when leasing a suite within—or purchasing—a commercial building. Learning about the most common commercial plumbing problems could help you be more prepared and maybe even avoid costly and inconvenient property damage. Keep reading for some of the most frequent issues. 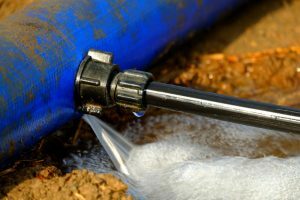 Posted in Plumbing | Comments Off on Is Your Commercial Building Suffering from Plumbing Problems?